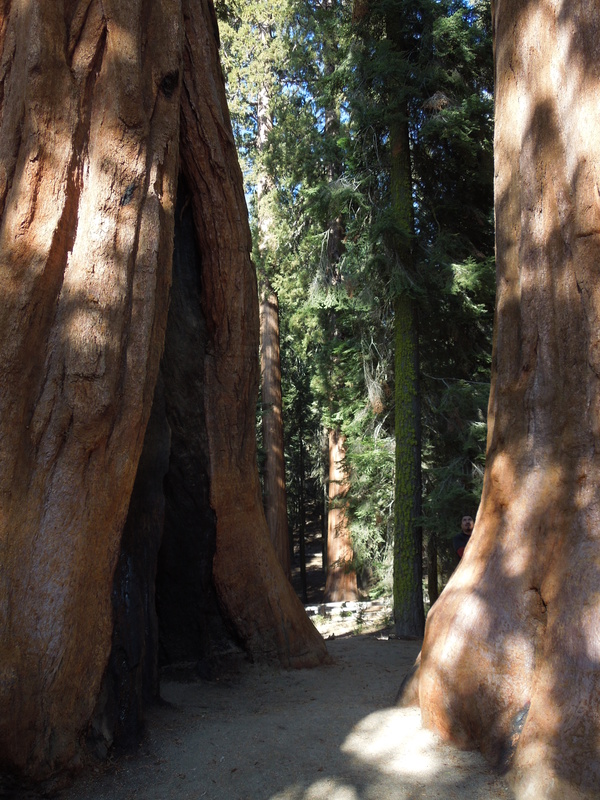 Sequoia National Park, CA – More Than Just Giant Trees | Going out is really going in. Going out is really going in. On our first visit to Sequoia National Park last month, we of course checked out the big trees, and I highly recommend that experience to everyone. Their size and antiquity inspire awe. 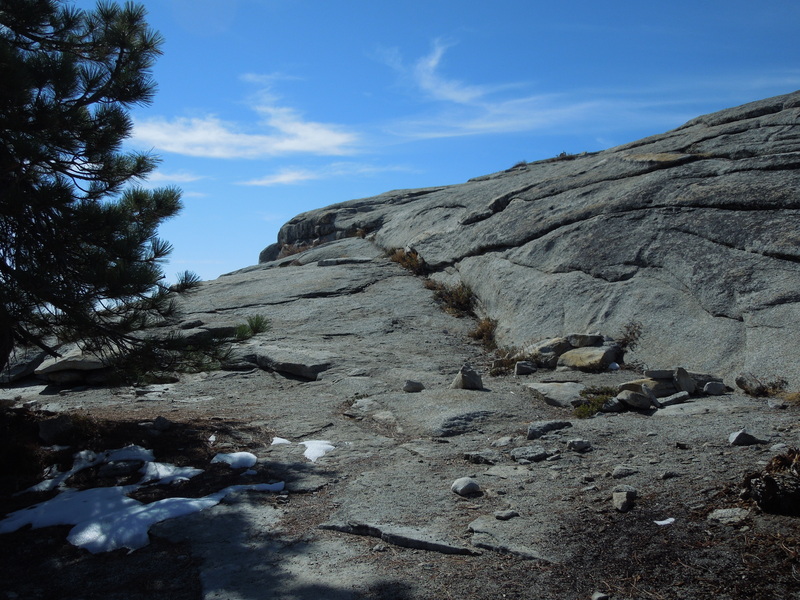 But there is much more to the Park, and the one hike we took, to the top of Little Baldy dome, provided a tantalizing invitation to return some day and explore further. That hike is now on my list of favorites, for several reasons. It is short (3.6 miles round trip) without much elevation gain (700 feet). The trail is beautifully engineered, climbing steadily up a forested hillside in long switchbacks. 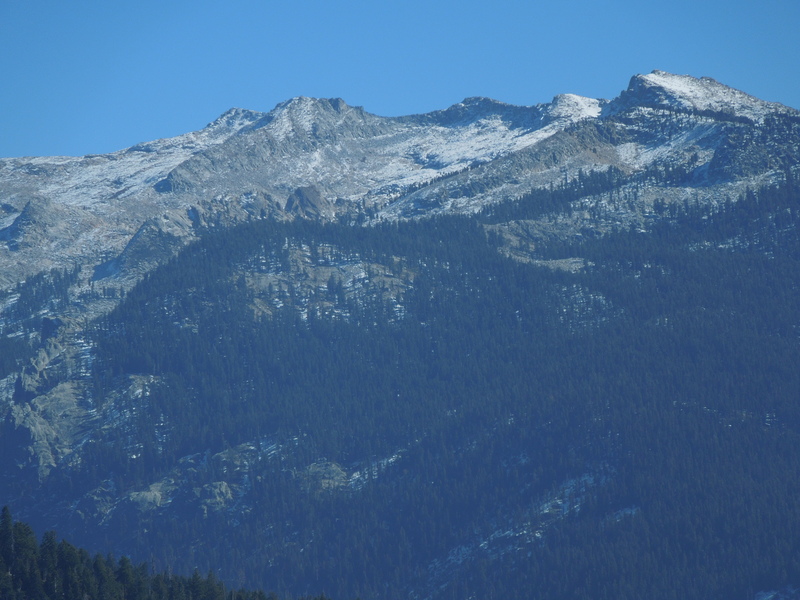 You never see Little Baldy until you get to it, so you can enjoy the journey without focusing on the goal. 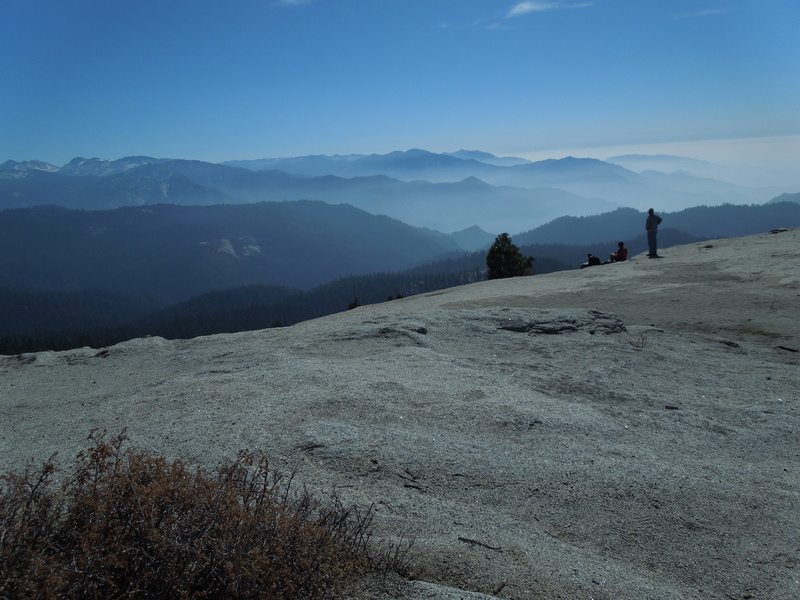 And there are 360 degree views of this part of California from the top of the granite dome. We found the trailhead at Little Baldy Saddle (elevation 7335 feet) on the Generals Highway and parked along the road. 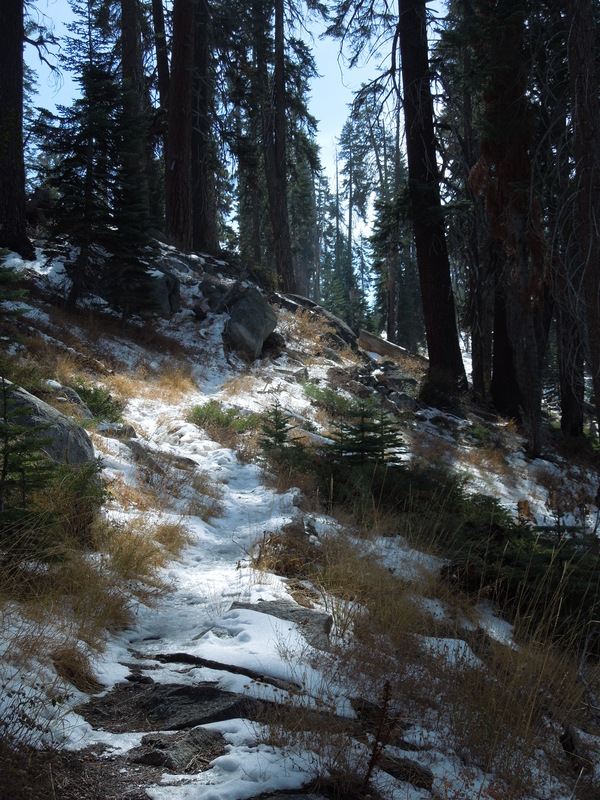 Once we got high enough above traffic noises, the only sound we heard was our boots crunching the snow and ice left on the trail from a snowstorm a few days before. 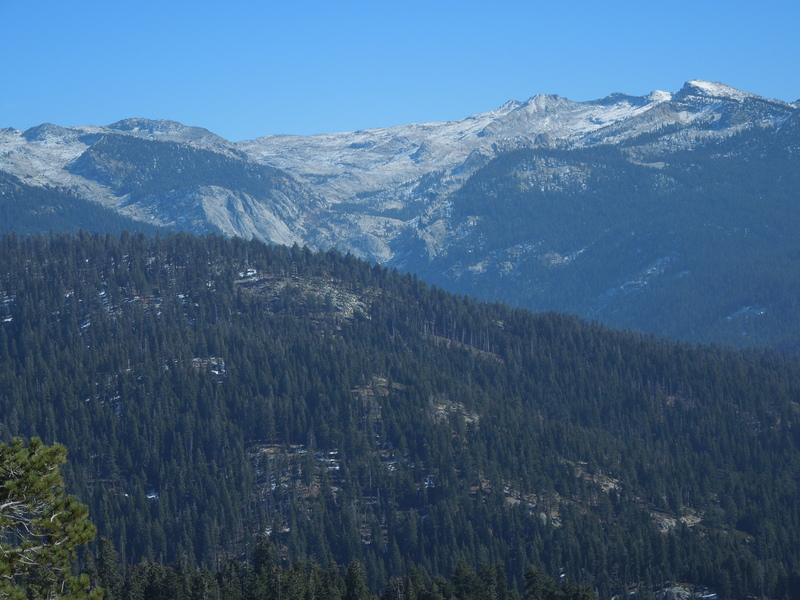 After the push up the switchbacks, the trail leveled out and then high Sierra peaks became visible to the east. A final short climb and a bit of a scramble took us out onto the dome with its unobstructed views in every direction. There were three other hikers on top. All had hiked there numerous times before, and they assured us that it is never crowded, even in the summer months. For me, that was another reason to love this hike. The only negative was that the view to the west was obscured by poor air quality in the San Joaquin Valley, unfortunately, a near constant condition. 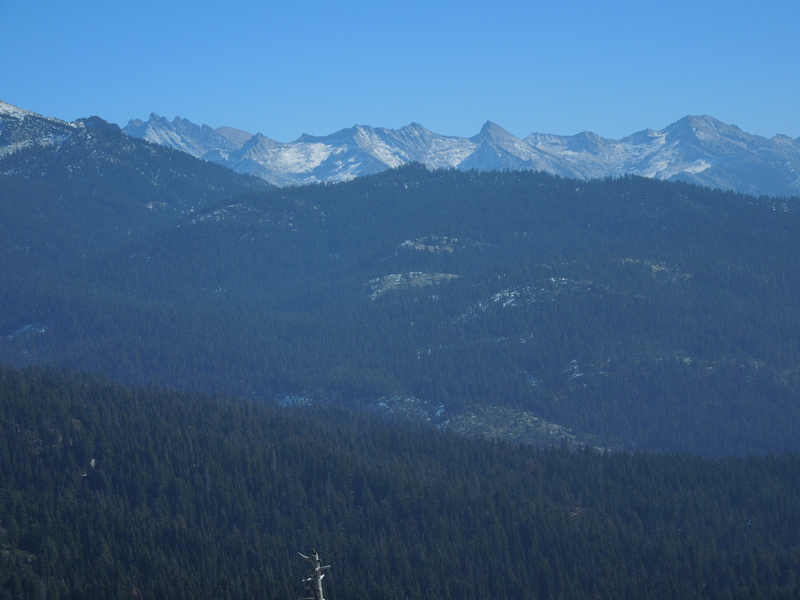 But looking eastward, the rugged, layered, gorgeous and seemingly endless landscape of the Sierra Nevada Mountains was spectacular, reminding us once again why our National Parks are truly America’s Best Idea. 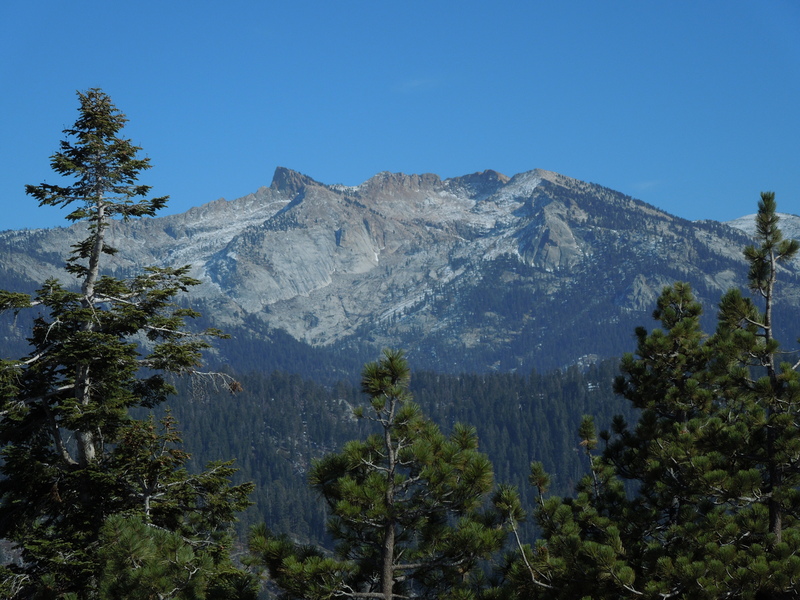 « Kings Canyon National Park – Sixty in 2013: This Is It! Such great views! Sounds like a really great hike, thanks for sharing. Thanks Carolyn! 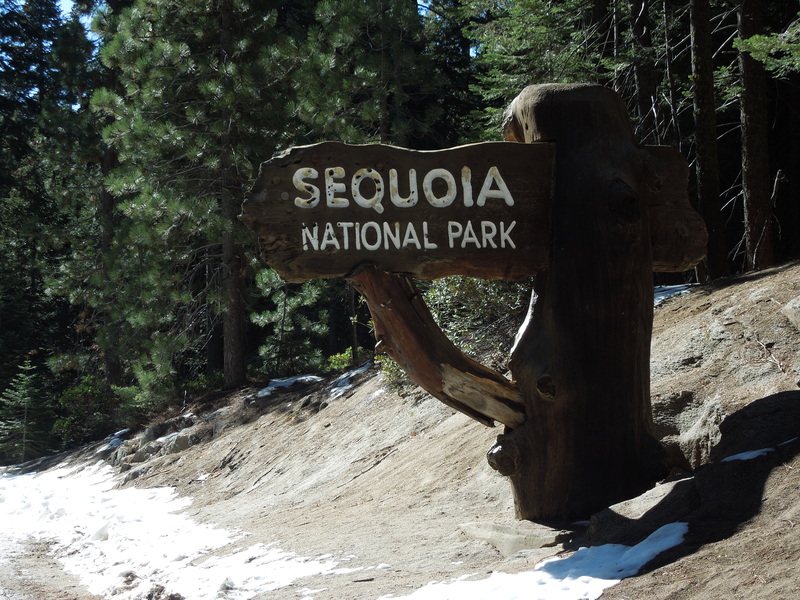 I’m happy that our adventure may inspire you to visit Sequoia! I hope you do.